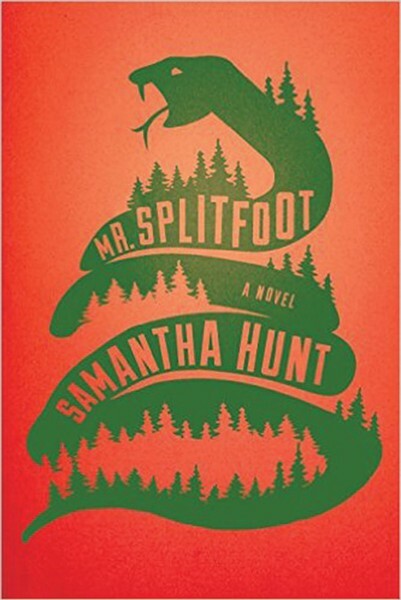 In Mr. Splitfoot, Tivoli-based writer Samantha Hunt has created an entrancing, modern, haunted tale that seems drawn from the very bones of Hudson Valley history. Old farm ruins stick up out of the earth like a snaggletooth; decrepit old Adirondack Great Camps bear the brunt of disturbing pasts. Even geography itself is distorted: The distance to a city (Troy) is both three miles and 10,000-light years away, particularly to orphans stuck in the so-called care of a religious fanatic with a mean streak. Yet the distance between past and present is but a hair's breadth. The power of this novel lies in its filigree accuracy of setting and its unforgettable central characters. Orphans Ruth and Nat, and—years later—Ruth's niece Cora all share a certain pluck, a fiery opportunism, and a knack for venturing into strange, unhinged places, supernatural and otherwise. Ruth and Nat, among the many misfit children in the Love of Christ! foster home, grow up pretending to talk to the dead. Striking out on their own, they're convinced to parlay it into a scam. Years later, Cora, pregnant, is taken by her long-lost aunt on a mysterious odyssey by foot across the vast expanse of New York State. Hunt builds both stories into a double narrative; as each side begins to tilt and collide with the other, it's clear there's far more than coincidence going on. Mr. Splitfoot is haunted by a metaphysical ebb and flow of souls, minds, and bodies, and by the ragtag, strange world of spiritualism and cults on the fringes and seams of America. As such, it belongs in the welcome genre of books by new writers who don't accept the confines of modern literary fiction's terse and limited geometry, its focus on flawed human relationships and their legacy. He wraps his arms around her. Ruth's Walkman's headphones are looped around her neck. A tiny bit of music leaks out. "Are You Lonesome Tonight." He sings with Elvis, repeating the words. "Shall I? Shall? Come back? Come back again? Again? Again?" Ruth and the man and a quiet song. "I'll miss you," he says. Beside the chair he's got an old water damaged suitcase as if he's packed to go somewhere. But it's the liberties Hunt takes that make this novel levitate into something wholly remarkable and new. She's such a powerful writer that she naturally reaches beyond the usual canonized frame of what's real—connect the locations where meteors landed together and what do you see? And what informs the carny fringes of the rural imagination, after all? Ghosts and spirits and conjurers and holy rollers. For those who prefer characters with skin as opposed to ether, Hunt makes a compelling argument for getting over it. The idea of communing with the dead may be, supposedly, a fringe topic in fiction. But consider this: in fiction, live characters are not technically alive anyway. The whole construct is supernatural to begin with. So set any conundrums aside and delve into this tightly crafted book. And then: sweet dreams. Appearing 1/9 at 7pm, Spotty Dog Books & Ale, Hudson.